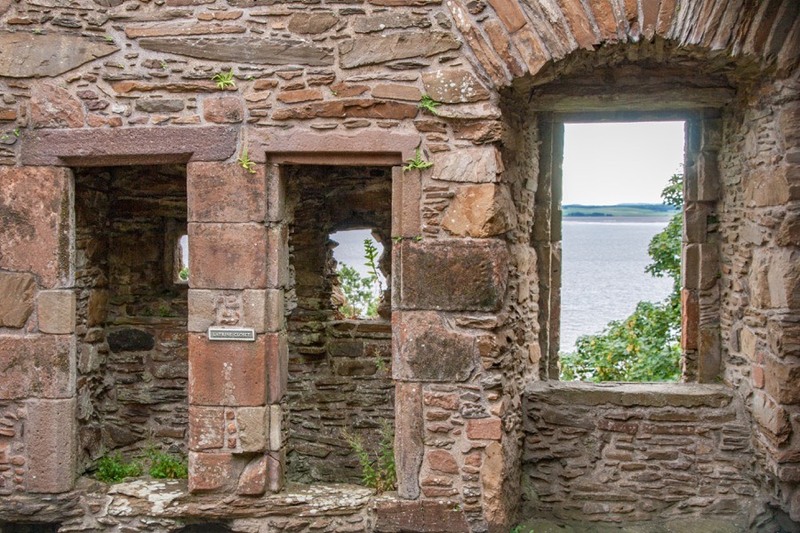 Carsluith Castle is a ruined largely 16th century tower house which guards the entrance to a navigable channel through Wigtown Bay. 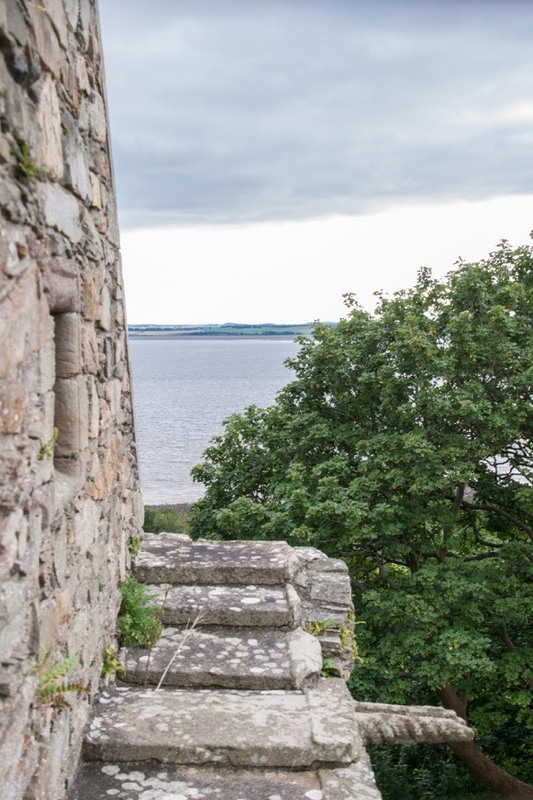 The lands of Carsluith were held until 1460 by the Cairns family, although whether or not they built a castle here is unknown. 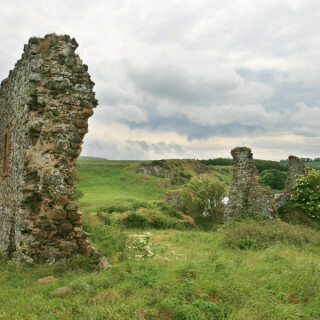 That year the lands passed to James Lindsay of Fairgirth, Chamberlain of Galloway, who was probably responsible for building the main tower either in the late 15th or early 16th centuries. 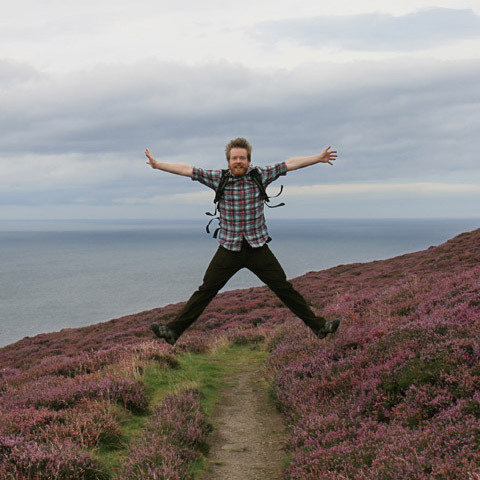 The tower stands on the slightest of promontories on the north side of Wigtown Bay close to the East Channel which leads up to the mouth of the River Bladnoch at Wigtown itself. Rectangular in plan, the tower measures around 9.8m west-north-west to east-south-east by around 7.6m and rises to a height of around 10.0m at the eaves. Originally the upper floors would have been accessed via a spiral staircase within the thickness of the north-west corner. 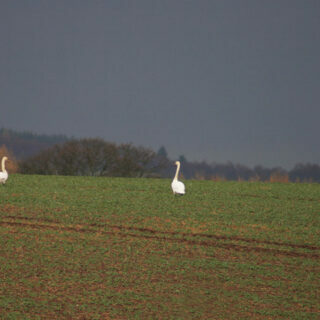 It is likely that a barmkin would have projected from the castle to the north although no trace of this remains. The vaulted basement level was divided into two cellars and features gunloops for protection of the castle. There was no dedicated kitchen area suggesting perhaps that food was prepared in an external ancillary building. On the first floor is the main hall with a large fireplace on the south wall, within one jab of which is a salt box for preserving dry food. 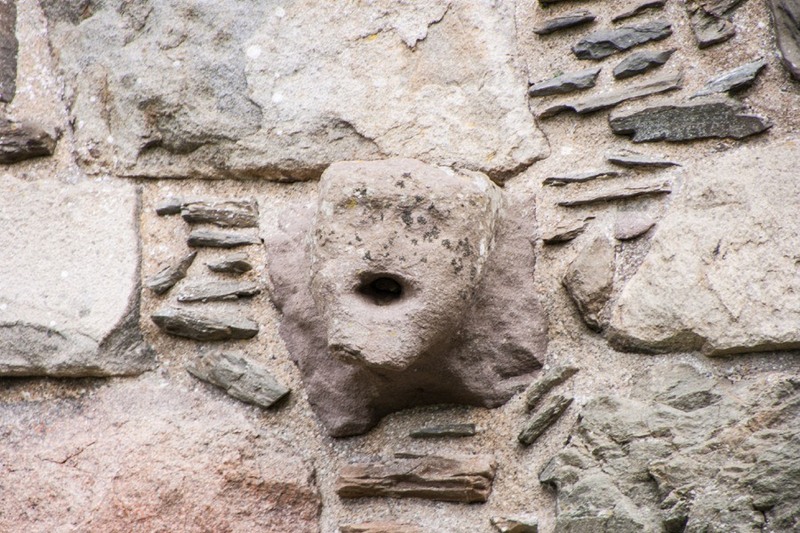 A slop sink in the south-west corner of the first floor originally drained through a carved stone gargoyle on the west external wall. 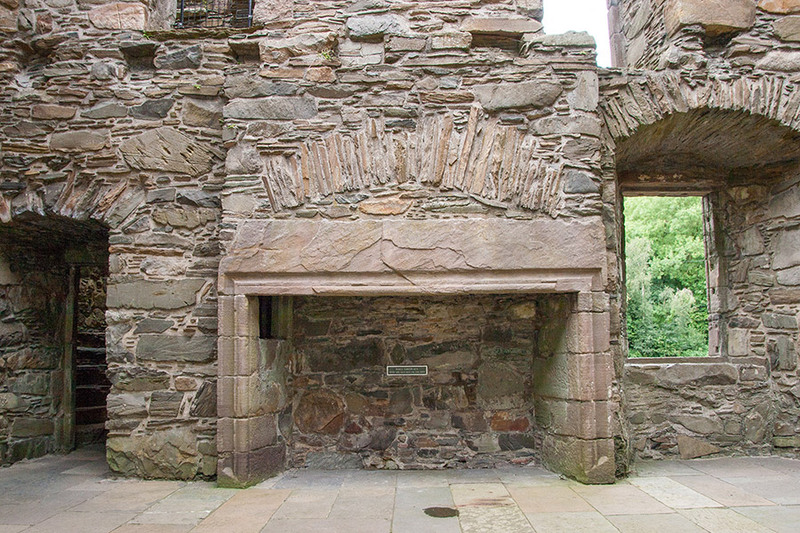 The second floor was occupied by two chambers, mirrored in design, one of which would have been the laird’s bedroom. The chambers would have been divided by a wooden partition between the two latrine closet entrances. 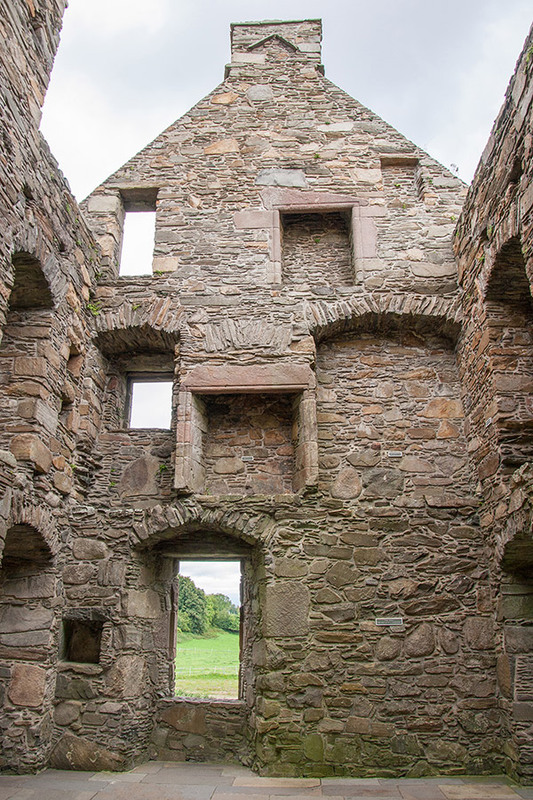 Square holes through the north wall at second floor level would have supported timber beams which would have carried an external wooden gallery. 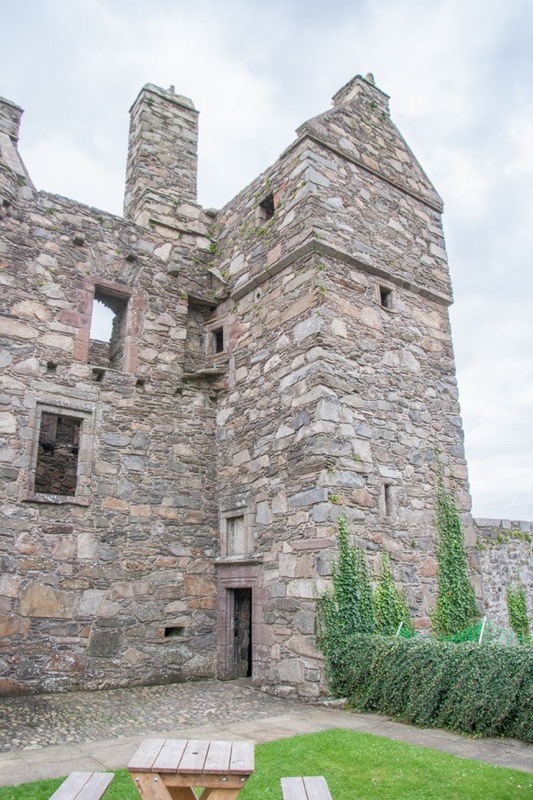 Above the second floor are round turrets at three corners with a corbelled out walkway between them, and crow-stepped gables which would originally bookended a garret level containing further accommodation within the battlements. 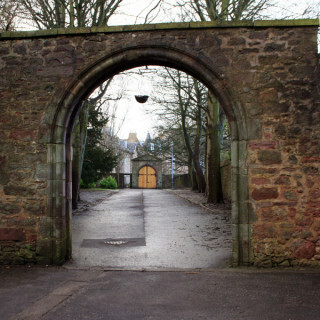 The castle passed via Lindsay’s daughter to a Richard Brown or Broun. A stair tower was added to north-west corner of the main block, complete with a gabled caphouse, possibly by the Brown family in the 1560s. The entrance was via a roll-moulded doorway at ground floor level in this stair tower, with a niche above containing a carved armorial panel carrying the Brown arms and a date in the 1560s. The last number was supposedly legible as a 4 in the 19th century but is sometimes given as 1568. 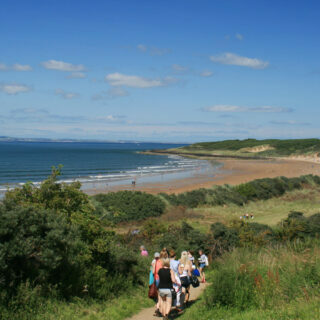 The Catholic Browns feuded with the Protestant McCullochs of Barholm and in 1579 John Brown was fined £40 when his son, also John, failed to appear in court charged with the murder of McCulloch of Barholm. 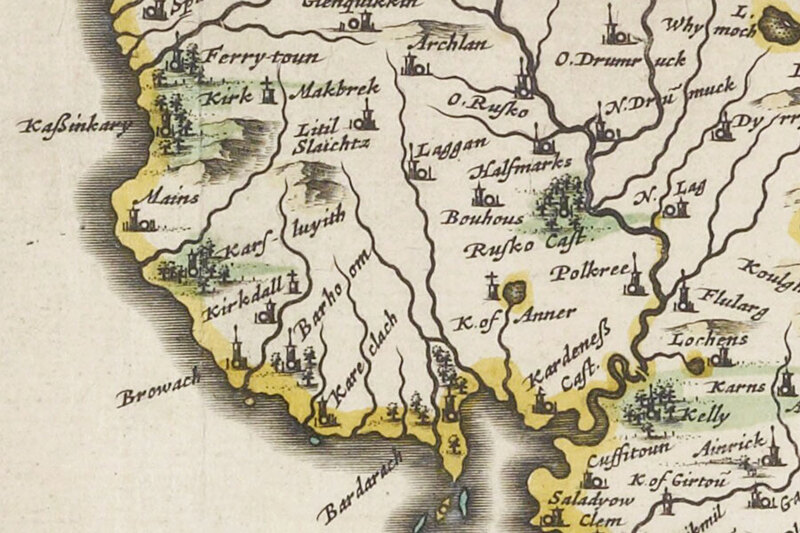 Carsluith is marked on Blaeu’s map of 1654 as Karsluyith. 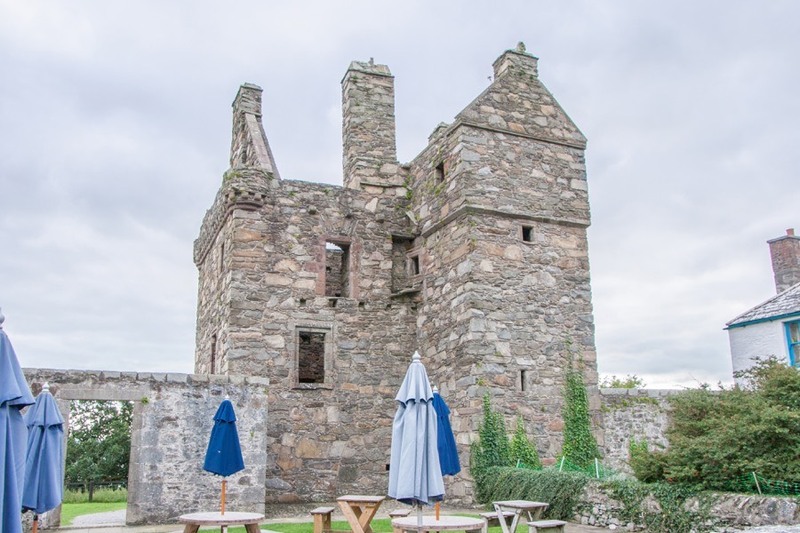 James Brown emigrated to India in 1748 and the castle has seemingly been unoccupied since, with the estate sold to Alistair Johnston and later to the Hannay family of Mochrum and Kirkdale. 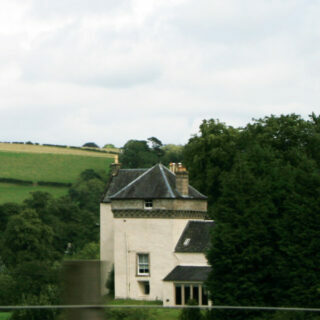 In the late 18th century two symmetrical pavilions were added either side of the castle and connected to it with walls to form a U-plan farm steading for the Kirkdale estate. These pavilions, which were remodelled in the 19th century, may have been built on the site of ancillary buildings associated with the castle. One is now in use as a café. The castle subsequently passed through the hands of several families before entering State care in 1913. 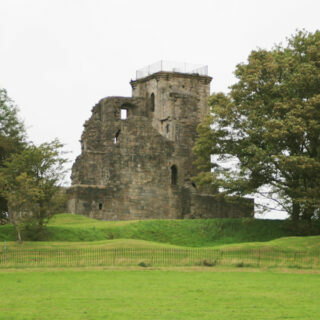 Carsluith Castle is in the parish of Kirkmabreck and the county of Kirkcudbrightshire. Published on the 23rd of May 2012 at 9:56 pm. Updated on the 9th of April 2019 at 3:28 pm.